The SRX Group is a unique affiliation of companies operating internationally in the fields of aviation and logistics since 1992, headquartered in Miami (Florida, USA), with regional branch offices in Tashkent, Navoi (Uzbekistan) and Almaty (Kazakhstan). SRX provides a comprehensive range of services including cargo transportation, freight forwarding and logistics, air charter services as well as aircraft ground handling and fuelling services in various locations. 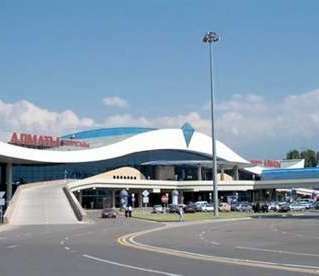 To support its ever expanding operations in Kazakhstan, SRX has opened an office within the Almaty airport cargo facility. KTZ Express is multimodal logistics company based in Kazakhstan.